Chiara Isadora is a corporate and industrial art expert, an art advisor, curator, and former researcher at Ca’ Foscari University, Venice. She graduated in Economics and Management of Arts and Culture at Ca’ Foscari University after a first cycle degree at the University of Florence.She deepened her knowledge and attained her master level in management of visual art collections and in economics of sustainability through culture thanks to several special post-graduate courses she attended at the MoMA in New York and at the Columbia University. As a researcher, she personally contributed to the development and evolution of the discipline, thanks to empirical studies and the formulations of theory towards the corporate art and cultural activities, dedicating her whole professional life to the empowerment of businesses through art. In 2009 she started her first projects in the corporate art field, such as the introduction of street artists and writers in the production chain of luxury garden furnishing firms, presented at the Salone Del Mobile in Milan. Among her recent collaborations we find her position as cultural activities manager in the historical luxury perfumery firm Mavive S.p.A., where she directs the corporate art activities, such as site-specific installations in Palazzo Mocenigo and at the Biennale, Venice; museographic projects comprehending cooperations with the European Councile, The Domain De Saint Claude (Louvre, Paris), the Cologne House (Cologne), the Victoria&Albert Museum (London), the Pera Museum (Istanbul). She was the strategist of the Hologramme project: she guided the renovation of the image for the area of the outstanding UNESCO archeological heritages, between Sicily and Tunisia (among which the Bardo National Museum, severely damaged by the terroristic attack). Chiara Isadora devoted her entire life to the studying and the creation of new connections between art and business, for this reason Umberto Pecchini (previously general communications manger at the FIAT industry, today CEO of the Savoy’s Castle Heritage) designated her to become the chief project manager and curator of the MUSES, in the medicinal herbs cluster in Cuneo, Italy. After a first cycle degree in Russian and English languages and culture at the Ca’ Foscari University of Venice, she pursued her studies in the field of Russian and Easter European economics and international relationships at the I level master in Eastern European Economics and Languages. She believes that a cultural approach to business is one of the keys of success, not only locally but also at an international level. Thanks to several collaborations during the Venice Biennale of Arts and Architecture, her personal interests to contemporary art and performances and her scholastic background, she is fully committed to the strategic goals of Current. 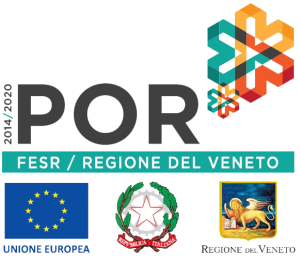 Foreign Trade grad student at the School of Economics, Languages and Entrepreneurship of the Ca’ Foscari University of Venice. His personal and profound interest in Art and Culture led him to collaborate with Current Corporate, managing its operating secretariat and developing its indirect marketing. International festival of contemporary art, takig place in more than 20 cities aroud the world (among which Rome, Venice, Lubljana, Toronto, Canberra, Kansas City, Windhoek, Copenhagen, London, and very soon in Buenos Aires), with a net of more than 200 international artists.